If there’s one thing that truly separates us from the average used Jeep dealer in Dallas, it’s what we can do with these impressive off-roading machines. We take pride in building custom Jeep Wranglers that are truly unique and limited only by our imaginations. Off-road fanatics come from far and wide to check out our creations and this is your chance to see what we do. The team here at Starwood Motors cares. We want our customers to feel special, whether they’re shopping for a good deal on a used car or looking to get a custom Jeep from our luxury dealer. Everyone gets the same care and attention when they shop here because we know how important finding the right vehicle is. Our lineup of used Jeep models speaks to the adventurous spirit inside of everyone. There are plenty of places to get off the beaten path around the Dallas area and our Wrangler and Wrangler Unlimited models are ready for anything that you can throw at them. You can have that off-roading vehicle you’ve always dreamed of. Imagine leaving the hustle and bustle of the city behind and cruising with the top down in a stylish Wrangler. Starwood Motors is the place to make that dream a reality. Our sales team lives and breathes Jeep models, so they can show you our impressive lineup of vehicles and answer any questions that you may have. If you have ideas of how you’d like to customize your Jeep, then let us know! Financing is never a problem either because our team of experts works with a variety of lenders, which allows us to provide the most competitive auto loan options for you. That way you can enjoy your rugged vehicle without it becoming a financial burden. 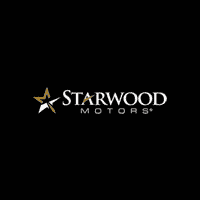 Contact Starwood Motors today to find out what kind of used Jeep models we have in our showroom. For more info, please give us a call at 214-367-5400.